Cash Roulette is for the curious, for the risk seeking people that can’t wait for their next thrill in life. We had several ideas how the concept could be expanded, like building a community where the members can also win money that others have lost or have the app two sided where other could supply their unpaid invoices that then will get paid by others. We ditched theses ideas a) too complex for hackday b) it would dilute our initial idea that we had about our “product”. 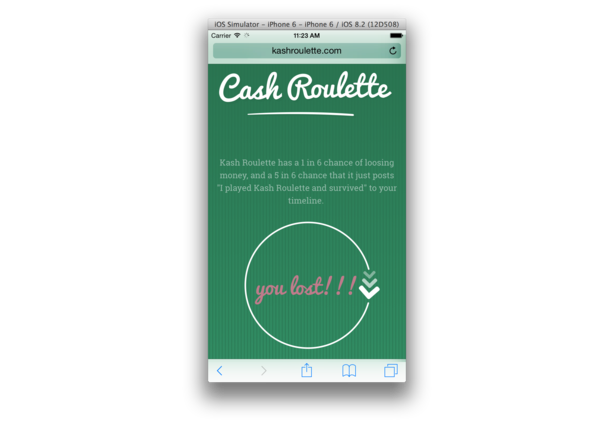 But think about Cash Roulette as a gamification approach for bank customers and a approach for customer retention. Bet with friends, bet about interest rates, bet about shares, saving accounts. With a kick - because people need it. Cash Roulette intentionally tries to create a WTF moment and effectively plays with the phrase our mom always told us “don’t play with money”. Furthermore we’re trying to break the usual behavior patterns that normally prevent us from doing crazy stuff or trying out something new, just because the current mental model that you’re applying to your world doesn’t mean that there aren’t at least some people who will totally deliberate what you call a “bad idea”. The Internet is full of things that one would call insane or even worse, but yet someone builds these things and someone is using them :) We’re addressing these people and those who are willing to take a risk (and potentially loose some money on the way). 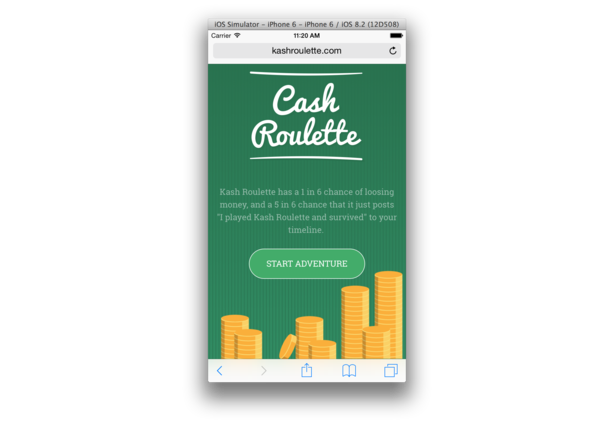 Cash Roulette is a responsive webapp that was build with a mobile first approach in mind, so better check it out on a mobile device. Behind die scenes it will make use of the Figo Connect API to identify the user and also get hold of his bank account details along the way. The amount abducted from the account will be roughly about 15% of the current account balance. Each lost game will be a threat as a direct debit, which can be processed via Ebics on our bank account. MVP: It’s basically a button and a figo connect. Use Case: on their mobile device in all kind of contexts, but we think it would also make a pretty good party game and customer retention product for banks. Risk seeking people can bet on interest rates, shares, charity etc. Challenges & solutions: Deciding if we could use Figo to make the payment “unrevertable”. In the end we decided on simple direct debits and electronic mandates. Comments for this submission are closed. View the software in kangguru's portfolio to continue the conversation.